TPM did a great job in supporting the implementation, with good knowledge of its systems, understanding of feature roadmap, knowing the legal ebilling business, and hands on data processing skills. SL ebilling solution is still adding more features in its continued development. SL is a new generation of legal ops ebilling system. It has great useability and consumer-like interface. As it continues to grow and onboard more legal firms, the scale of business will show more benefits. At this time, while it is still relative new, there are more features it could bring to its customers. Development takes time. However, the current set of features look to be sufficient to a medium size company. Improving lega ebilling process for the company. "eBilling, Vendor Management and Accruals made easy!" There are so many things I like about SimpleLegal. To start, SimpleLegal's user interface is super easy to use and very intuitive. There's not much training, if any at all to get my team up and running using this eBilling tool. My team also loves the different graphs and metrics the tool is able to show. At any given moment, I can see how much we've spent broken down by matter, matter group, month, billing attorney, firm, you name it, they've got the breakdown. Perhaps what I like best is SimpleLegal's ability to take customer feedback/recommendations and implement it into the tool. I'd love to have the ability to send secondary and final approvers comments/notes within a specific invoice that does not get sent to my AP team or to the vendor. This would create a seamless workflow and cut down on the amount of back and forth emails when there is an issue with a particular invoice. I'm hoping customers will soon be able to download charts/graphs instead of simply taking screen shots directly from the "Monthly Spend" view. SimpleLegal has built such a great foundation and I'm hoping as their team and business grows, we'll be able to do even more customizations. SimpleLegal is an awesome tool and their customer support is second to none. I never feel left in the dark and they are always readily available to help with any questions I may have. Providing monthly and quarterly accruals for my AP team is a breeze. With a few clicks of a button, I am able to provide my AP team a full CSV file with all of the information they need. SimpleLegal's graphs and metrics are AMAZING! Again, with a few clicks of a button, I am able to generate charts and graphs for my general counsel and executive team. No more time is spent building graphs in Excel. "Excellent Billing Management & Metrics System"
SimpleLegal has made AP for legal invoices much more efficient, particularly for our legal department which uses a variety of legal service providers. It also provides excellent metrics that I use to see which matters are using the most budget and to measure which firms are providing services efficiently. The approval workflows help ensure that correct stakeholders are accountable for expenses and the accruals functionality gives our finance team greater visibility into legal spend as well. I would like to see greater integrations with our finance systems in their product roadmap. This is a great product that has saved me a lot of administrative work and improved our insights into legal spend. We had multiple law firms mailing invoices after accruing several months worth of fees and were tracking them manually. Often the totals would come as a surprise and we would have to go back to them to get explanations. With SimpleLegal, we get insight into monthly accruals and can halt work that is exceeding our spend expectations (or adjust budgets) at an earlier stage. "Streamlines Invoice Intake for In-House Counsel!" Simplelegal's platform is super user-friendly and intuitive. Previously, I had been processing itemized invoices from 50+ legal vendors, manually breaking out and tracking billing amounts by matter. With Simplelegal, I occassionally update my matter list - and the rest of the work is done for me. I feel more confident that my budget is tracking accurately rather than the old way of entering it into my own spreadsheet. My only wishes are for Simplelegal to have more options for automated messaging to vendorsm outside of accrual requests - and to have the system integrate better with the billing systems of my A/P department to reduce the work on our side to approve and pay. In the past, if I didn't properly update my budget tracking spreadsheet immediately upon processing invoices, I would find myself rushing to pull together numbers upon finance's request in terms of accruals, overages, etc. Simplelegal also allows me to view the work by several different methods - invoice date v. the actual time period the work was completed in. I can quickly generate reports on how we are tracking on the budget in a variety of forms. The accrual report can be improved - when we download it the report is too messy. Consolidation of all our legal services. It makes all the research I have to do really simple. There seems to be some limited functionality for the basic package, and you have to pay a lot more for more features. Making it easier for operations, billing, and practice management. This is a great addition to the billing system for outside legal counsel invoices. Our accounting team can access the spreadsheet that vendors add their monthly accrual estimates for bills coming to the system. Saves so much time sending emails and gathering numbers. Huge thanks for the team on this addition. None so far. This product delivers with ease of use and other features. I have not much business problems, just trying to manage on what I spend per month. * We monitor all SimpleLegal reviews to prevent fraudulent reviews and keep review quality high. We do not post reviews by company employees or direct competitors. Validated reviews require the user to submit a screenshot of the product containing their user ID, in order to verify a user is an actual user of the product. Hi there! 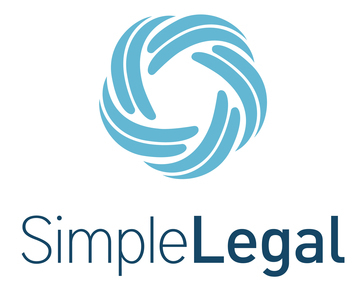 Are you looking to implement a solution like SimpleLegal?